May 17, 2018, Dayton, OH – Prime Controls, a manufacturer of double metal sheet sensors and controls for the can making, automotive, appliance and other metal forming industries, is proud to announce they recently achieved their ISO 9001:2015 certification. ISO 9001:2015 is the world’s most widely recognized quality management standard which helps organizations meet the expectations and needs of their customers. In order to obtain this certification, Prime Controls engaged in a rigorous audit of our business processes as well as our product quality environment. By achieving this level of certification, we continue to demonstrate our ability and desire to effectively and efficiently provide a quality management system while continuously improving our products and services as well as our internal processes. Prime Controls’ decision to be become ISO 9001:2015 certified was an easy one. Taking the steps to achieve this certification demonstrates our commitment to providing quality products and superior service and support that exceed our customers’ expectations. We are committed to fostering and upholding quality control practices that ensure consistency, transparency and accountability across all business operations including engineering, production, sales, service and support of our metal sensing solutions. 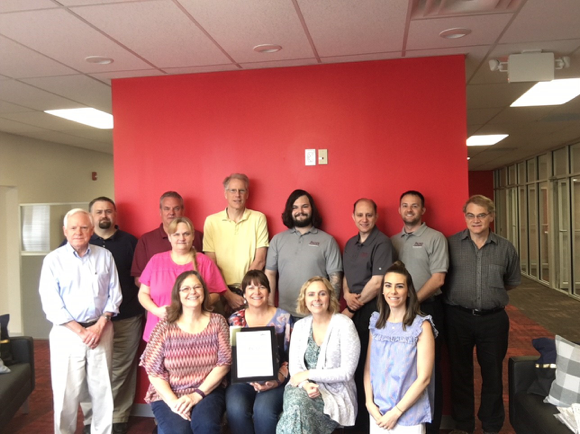 “By obtaining the ISO 90001:2015 certification, the Prime Controls team has shown their dedication and commitment to the company and its growth.” says Beth Graves, President of Prime Controls. “The level of engagement and enthusiasm from the team is a testament to each individual’s desire to supply innovative products and services to our customers while expanding the company. I couldn’t be prouder of our team.” continues Beth.